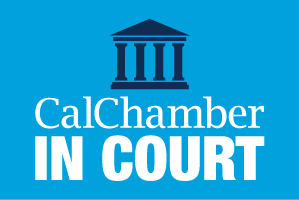 The California Chamber of Commerce filed a friend-of-the-court brief in the case. The court also ruled that a state agency must address both intrastate and interstate economic competitiveness impacts and concerns. In deciding this case, the appellate court rejected the application of a deferential standard of review to the state agency’s interpretation of its obligations under the Administrative Procedures Act (APA). In effect, the court held that the agency doesn’t get to decide for itself what the Legislature meant by holding the agency accountable. The APA ruling in this dispute, John R. Lawson Rock & Oil, Inc. and California Trucking Association v. State Air Resources Board et al., Case No. F074003, centered around the adequacy of the economic analysis conducted by the Air Resources Board (ARB) when it adopted an amendment to a rule regulating diesel truck engines. The appellate court found that behavior unacceptable. The court also rejected the agency’s willful ignorance of evidence of additional economic impacts, developed through the APA’s iterative regulatory analysis and review process. That is, once an agency is made aware of relevant economic information—especially potentially adverse economic impacts—then it must address those impacts in good faith as it completes its final economic analysis. The requirement that agencies conduct rigorous economic impact analyses was enacted by the Legislature in 2011 (SB 617; R. Calderon; D-Montebello). 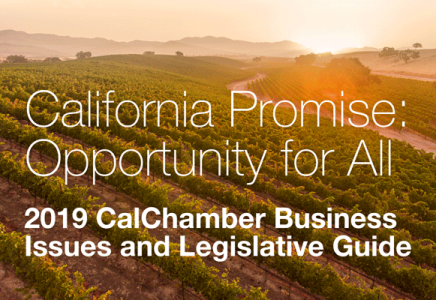 The CalChamber was a key supporter of the legislation and has worked closely with the Department of Finance to develop the rules by which agencies must comply with these requirements. Joining the CalChamber in filing the amicus curiae brief in this case were the California Manufacturers and Technology Association, California Business Properties Association, California Retailers Association, Consumer Specialty Products Association, California Independent Oil Marketers Association, Automotive Specialty Products Alliance, National Elevator Industry and Pacific Merchant Shipping Association.